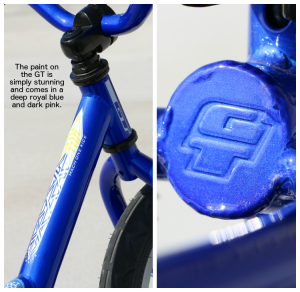 Going back to 1972 when the first GT bike frame was created by Gary Turner for BMX racing to the present day carbon fiber bikes; GT has been a leader. They are a legacy company that continues to expand on current technology to deliver exceptional products and to instill interest in younger riders. 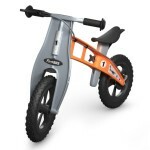 We received our GT Mach One balance bike shipment a few weeks ago. The bike was packed very well in the box and contained assembly instructions, but no tools were included. You will need your own hex wrenches (for handlebar stem and seat post) and crescent wrenches (attach front wheel). 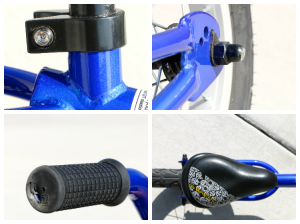 The handlebar grips don’t have end protection so over time there may be some of the ends being worn off. 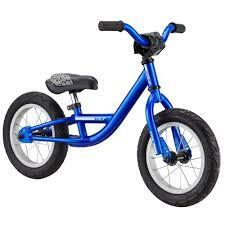 The only other thing we wished it had was a quick release at the seat post – although parents seldom change the seat height that often. 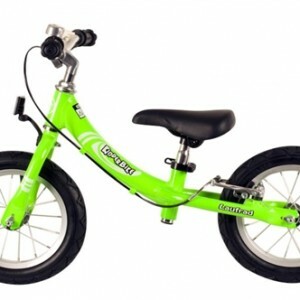 If you can get your hands on the 2013 model, they are only $99 and we feel that is a great deal on a balance bike for the GT Mach One Push Bike.